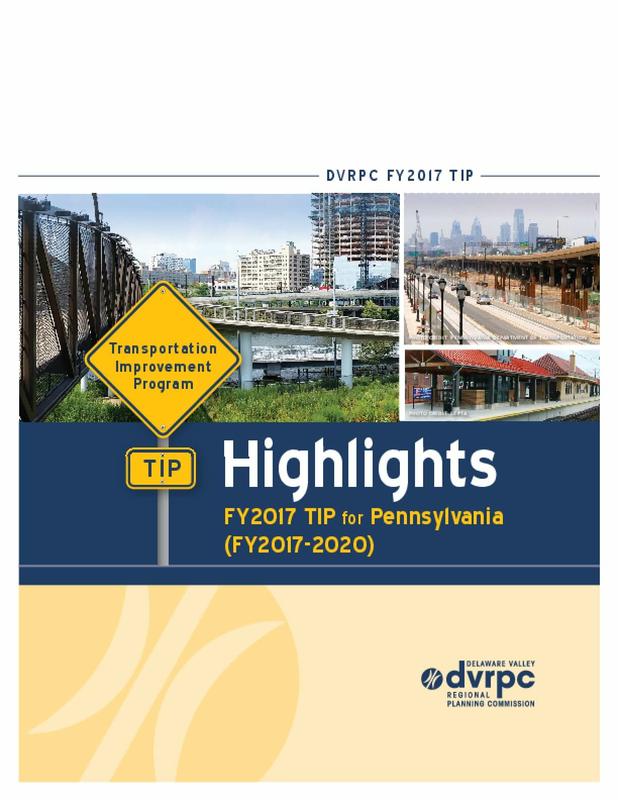 The highlights for the DVRPC FY2017 Transportation Improvement Program (TIP) for Pennsylvania briefly describes the region's TIP as a federally required, Multi-modal, four year contrained program of planned transportation infrastructure investment. It contains a summary listing of all transit, highway, bridge, bicycle, pedestrian, and freight related projects in DVRPC's Pennsylvania region which will seek federal funding in fiscal years (FY) 2017 to 2020. The Highloights document includes a finacial summary of costs by country an by operator, as well as a section on commenting on the Draft DVRPC FY2017 TIP for Pennsylvania.